If you ask either of my boys what the best part of the week at Gulf Shores was, they would not say the baby kangaroos (which was one of my favorites). 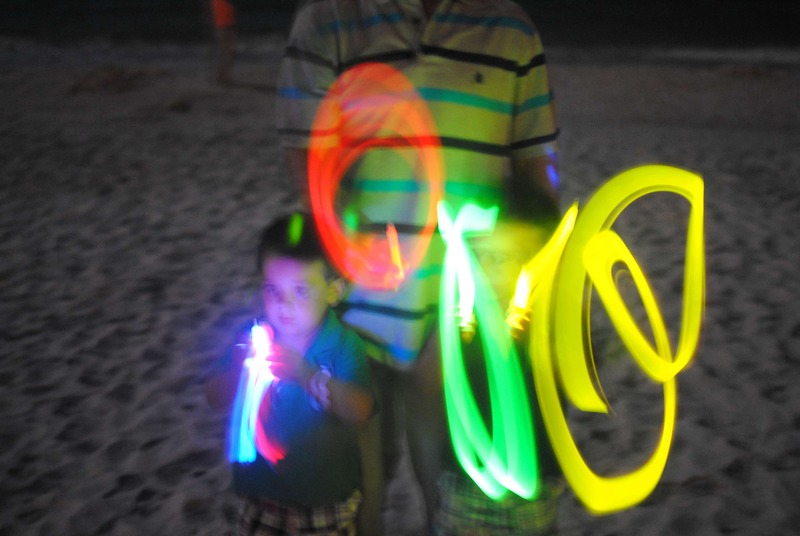 My boys loved two things most of all: digging in the sand and glow stick photos. 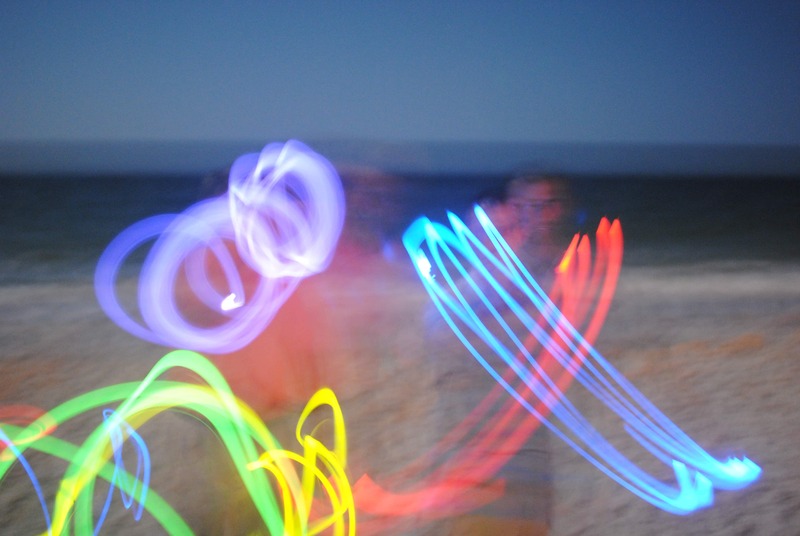 Still: I LOVE these glow stick photos. And a happy surprise is always better than disappointment after high hopes. 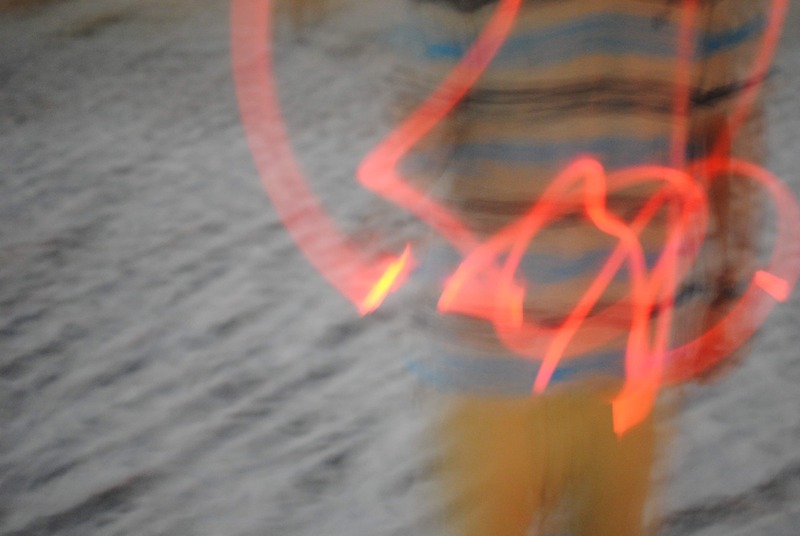 These streaks are Sawyer running toward the camera from the background. 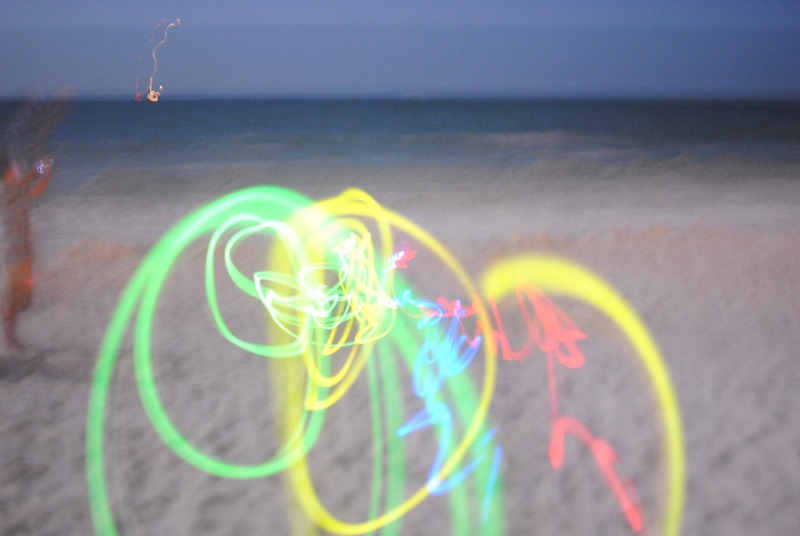 How to Take Glow Stick Photos: The key to taking these photos is slow shutter speed. You can adjust this manually, but because I’m a total bozo with the camera settings, I simply left the settings on no-flash. 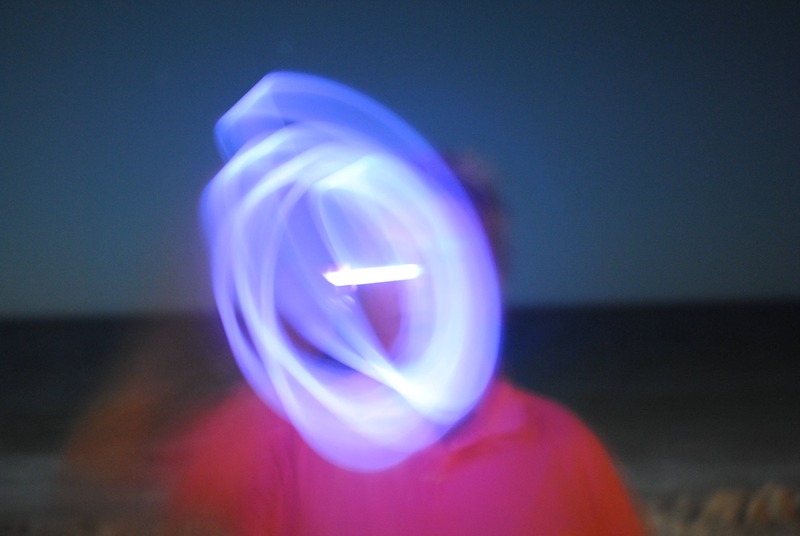 Have your glow-stick holders be still so you can press the button halfway down and have it focus, then when you press all the way down and the photo starts to take, have them move like crazy. The more they moved, the longer the shutter stayed open. This also worked better standing closer, but I had my 35mm, so play around to find that perfect distance. If you want actual instructions and helpful photography instructions, here is a great series from Instructables. Rob even tried writing his name, but it was hard to be as close as I needed to with the lens I had, plus get the whole name into the frame. My dad even got in on the action! 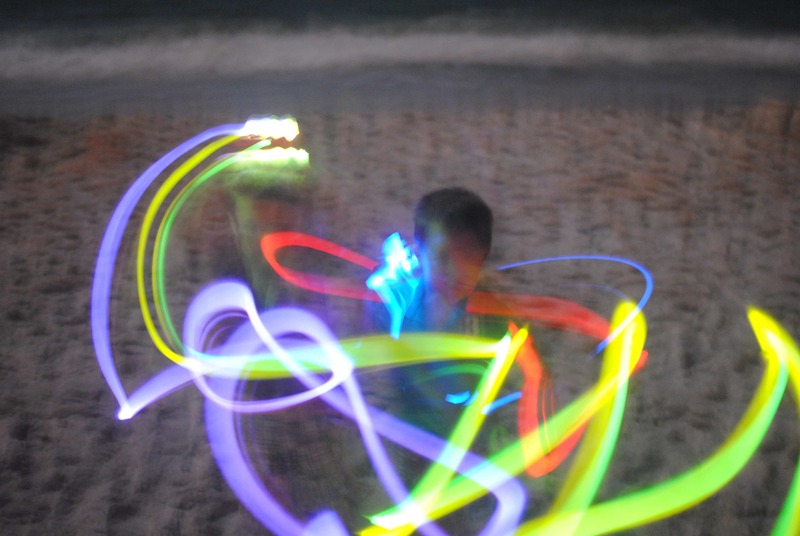 Which is fitting since he was the glow stick supplier. Here’s a final one Rob took of me. 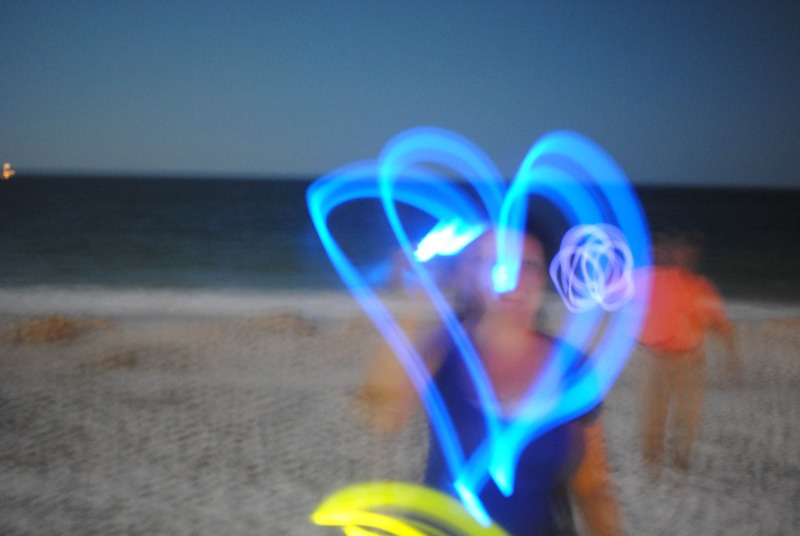 Heartsies! 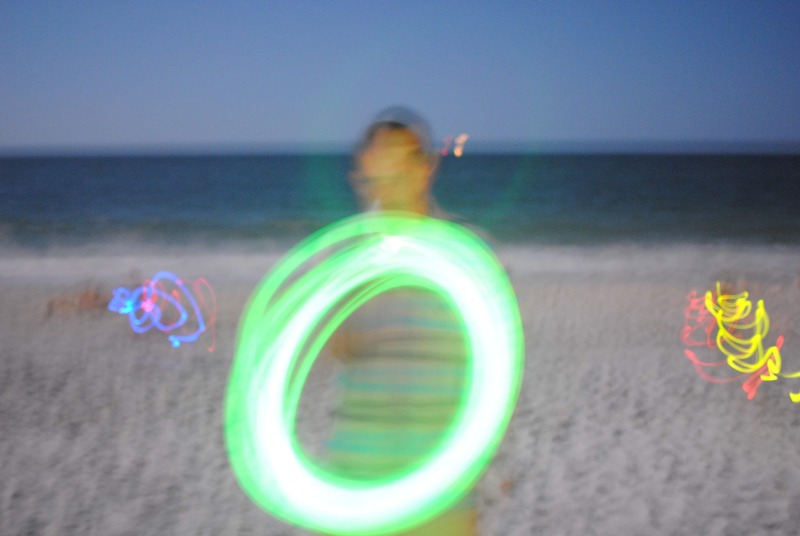 What was your shutter speed and F stop along with the ISO.